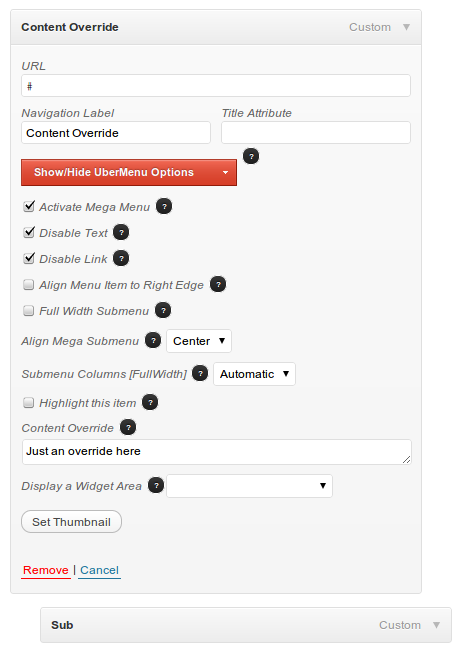 UberMenu integrates directly with the WordPress Menu System. It adds new options to the Menu Items you can add via Appearance > Menus. The function of each option is detailed in the hover-tooltip available to the right of each option in the Appearance > Menus screen. Note that different levels of menu items (top, second, third) will have different options available to them.